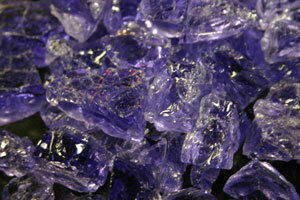 The pictures below are of our Toppers and one of staff was holding them to show you the texture and size in relation to their hand. 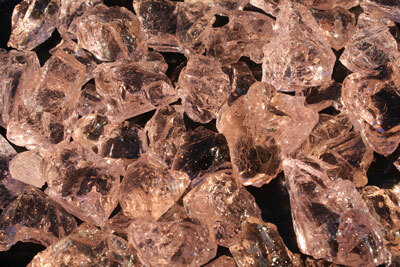 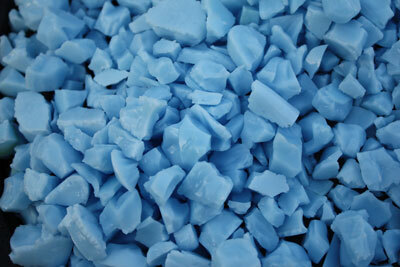 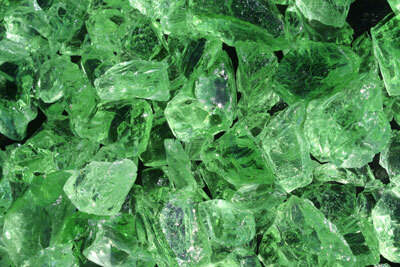 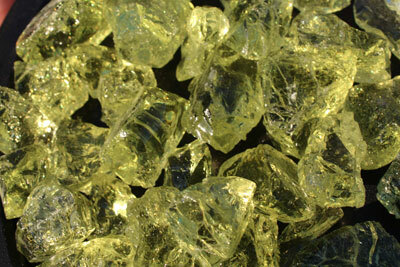 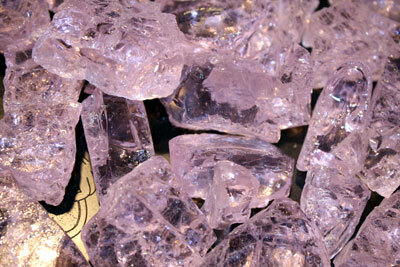 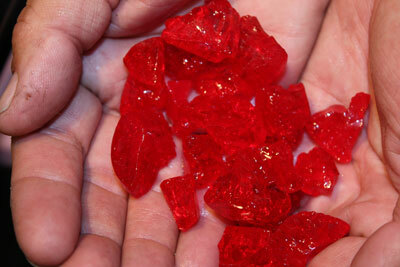 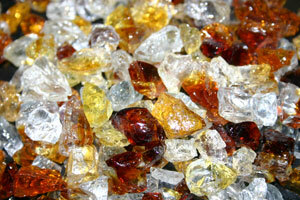 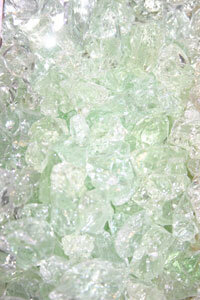 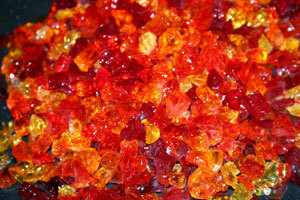 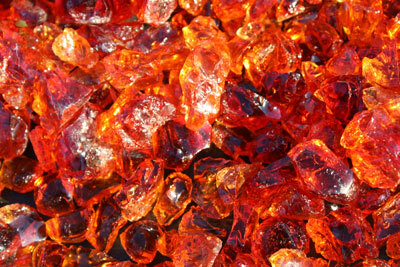 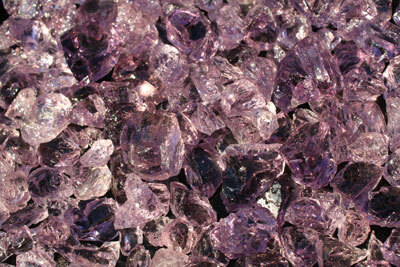 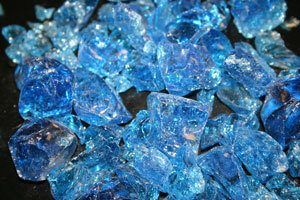 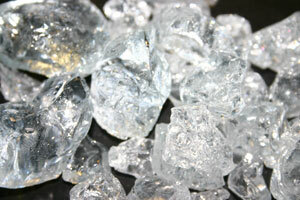 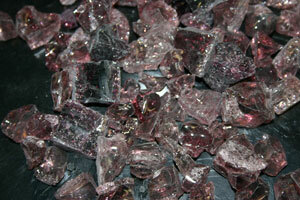 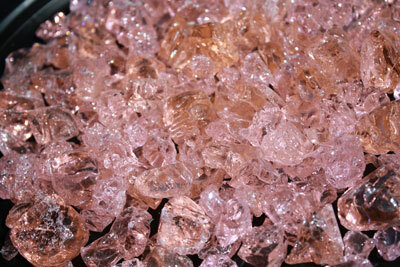 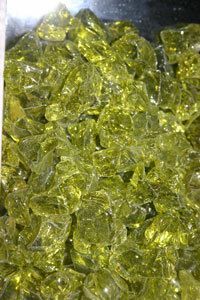 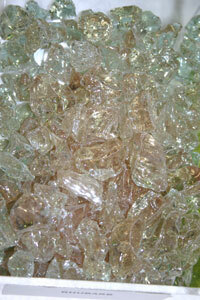 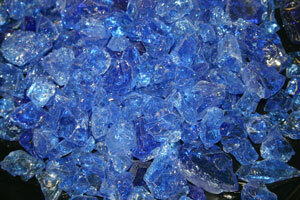 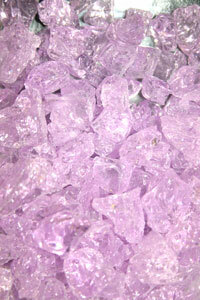 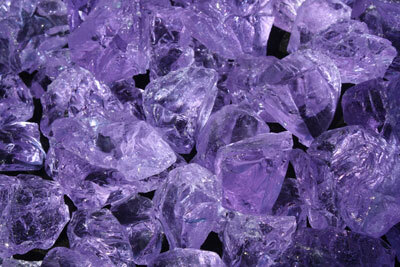 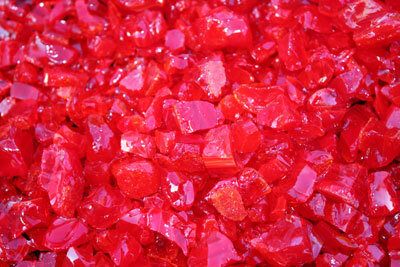 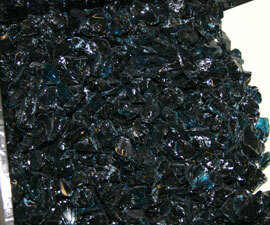 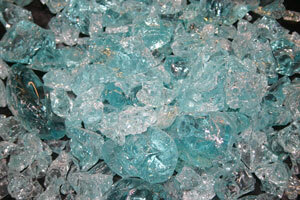 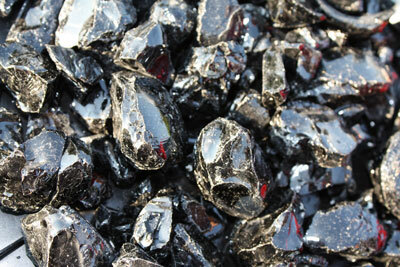 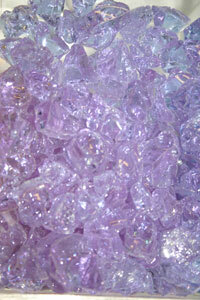 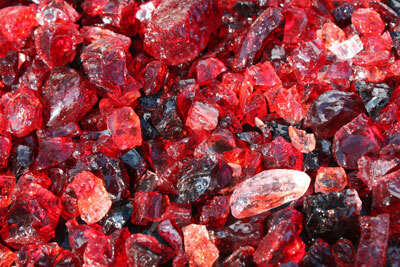 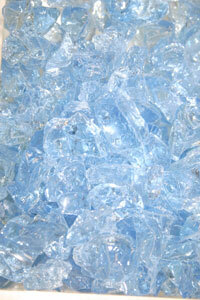 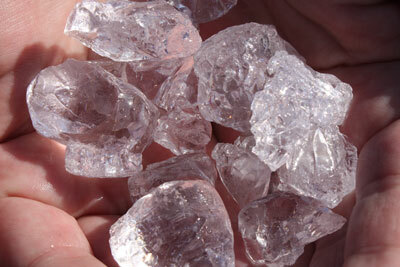 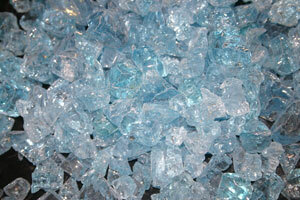 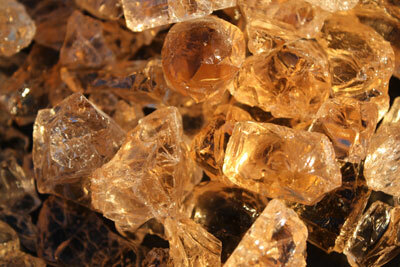 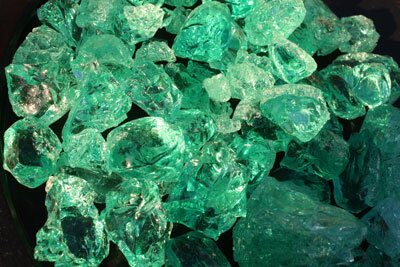 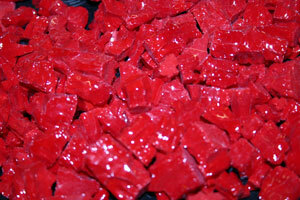 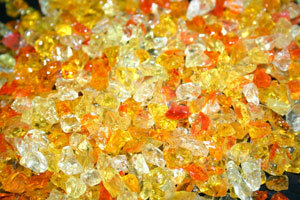 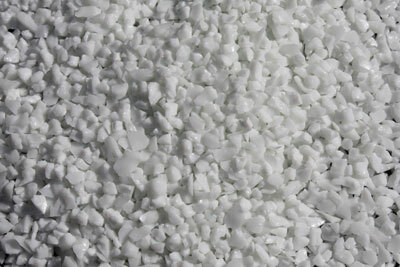 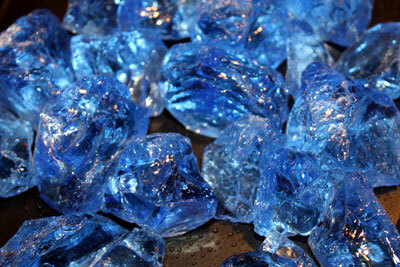 Our Toppers are a unique formula of glass crystal and made for this purpose, to be used in fireplaces and fire pits. 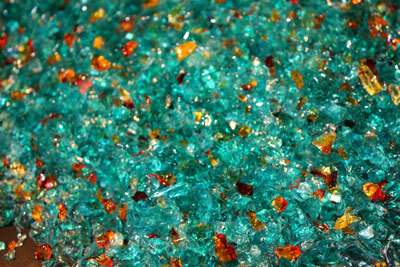 We have been compelled to show you the glass crystal in relation to the texture and size so you know what you are getting for your fireplace or fire pit. 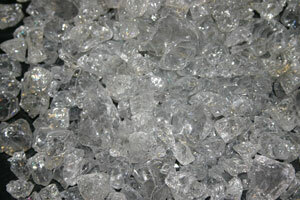 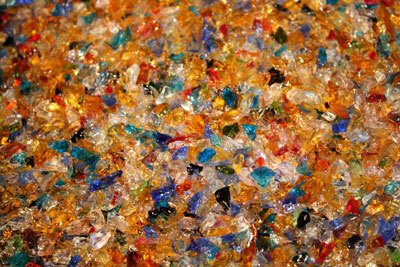 If you planned on purchasing from a glass recycler (crushed bottles and jars), please ask to see what you are getting. 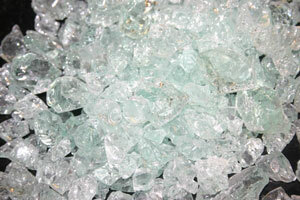 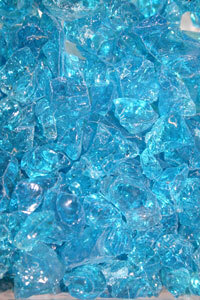 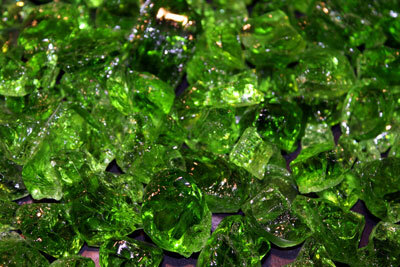 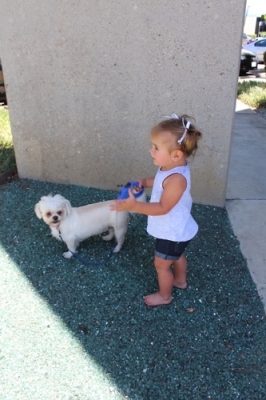 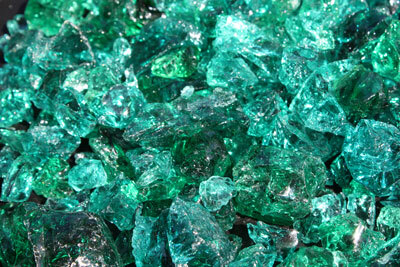 Our glass crystal is NOT recycled, and it is made for the use in fireplaces and fire pits, and it is NOT dangerous in the fire, as are jars and bottles as they do pop in the fire. 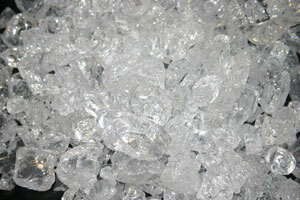 Try it and you will see what we mean. 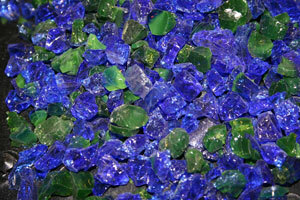 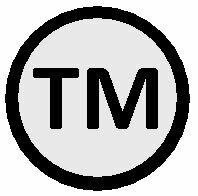 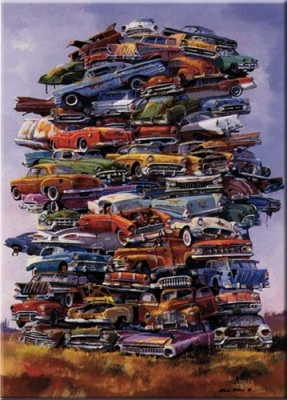 We take pride in the selection we offer you as a customer. 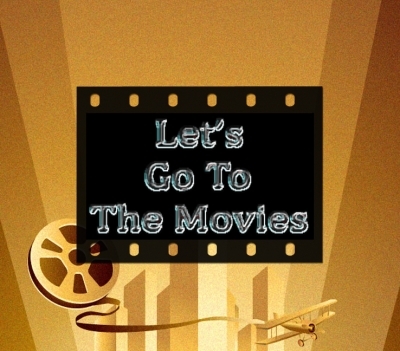 Hours: M-F 8:00 to 6:00 - Saturdays 10:00 to 2:00.